When I first read this quote, one name came to mind: Marsha Egan. That’s what she does after all! She helps others achieve their dreams. She has been doing this, whether she knew it or not, from the tender age of sixteen when she had her first job as a swim coach. “When those kids won the race, I’m not sure who was happier; them or me.” Within five minutes of meeting Marsha I knew she had a deep-rooted passion for helping others achieve their goals. With anything in life, we have a journey. Marsha’s personal journey is helping her clients’ progress on their own journeys. It was in this one, tiny moment that Marsha taught the whole group that a single word could change one’s perspective. Saying you “have a problem” gives things a negative twist. Saying you “have a challenge” frames the issue a positive light that infers that there is a resolution ahead. Her workshops How to Handle and Be Resilient to Change and Steps to Change Someone Else’s Behavior, to name two, were chock-full of powerful tips and suggestions. I could have spent all afternoon listening to Marsha. Not only is she a great motivator, but she has led such a fascinating life. To give you a peek inside Marsha’s voyage to Nantucket, it began in Pennsylvania. She grew up with a father who thought outside the box. He had a 1927 fire truck, an ambulance her family used to go skiing, and a Mexican burro she had as a pet until the age of twenty-one. Her career of achievement was a result of her hard work and passion for seeing people succeed. She has gone from corporate America in the insurance industry, to being the President of the Society of CPCU (a national 30,000 member insurance trade organization), to being the face for women in insurance, to a professional speaker, to a board certified life coach. If you’re thinking to yourself, “What is a Life Coach?” An easy way to explain would be to compare a Life Coach to a sporting coach. The coach isn’t going on the court to play the game, that’s the player’s job. The coach is on the sidelines. They teach, they motivate, and offer support. When Marsha was the swim coach at sixteen years old, she took over a team of thirty young swimmers whose meet status was 0-5 (which means they had no wins and five losses.) Two years later when she left as their coach, the team had 120 members and their record was 5-0. Marsha said in regard to coaching, “You give them the tools. A good coach doesn’t leave the field. A good coach adjusts the game at halftime.” When the player is in the middle of the game, they may not see what the coach is able to see. The coach can see things from a different perspective. Life Coaching is having a coach for the game of life. Marsha’s skills and coaching abilities are especially useful to businesses. A person in business needs a “Marsha” because she offers such an array of benefits to her clients. A coach like Marsha challenges thoughts and pre-conceived notions, fosters accountability, helps develop clarity of purpose, itemizes goals, charts an achievable path, and provides an unbiased prospective. 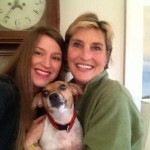 Marsha has vast experience and a working knowledge of the people-side of business. She helps people to navigate the business landscape. “My only goal is your success and your happiness. A business is people. Sometimes, when business leaders have no one to be personally accountable to, they tend to let their goals slide. ” This is when it is helpful to have a coach. Her love for what she does and her feelings of success are intertwined. What Marsha loves most: “Witnessing people’s accomplishments! Knowing that they earned it themselves with just a little bit of guidance, and someone offering an encouraging ‘You can do it!’ ” She feels most successful when she knows she didn’t do the work for the client. They did it, and they own the achievement. Nantucketers now have all of Marsha’s experience and skill to motivate others at their finger tips. The possibilities are endless! I see a great future happiness being bestowed upon Nantucketers because of Marsha’s presence on our island. 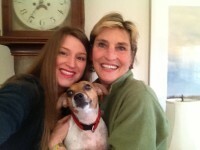 A loving “Thank You!” to Marsha for her time and her support. I hope others will grasp the opportunity to utilize Marsha’s abilities and talents for the great benefit they will gain to their lives, their businesses, and our island. One Comment to "Marsha Egan – The Island’s Coach"
I’ve been thinking a lot about life coaching and have been doing a lot of workshops online. I’m excited to learn about Marsha and her work. I hope to meet her at some point. 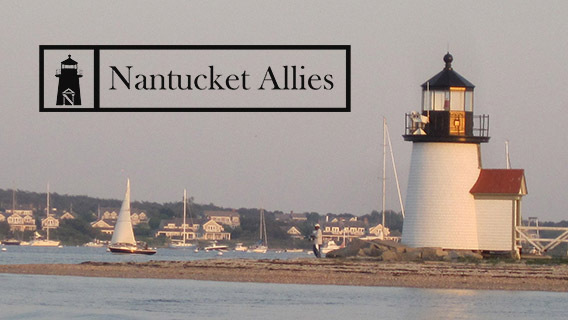 I’ve passed along this blog post and look forward to following Nantucket Allies, LLC. Best of luck!